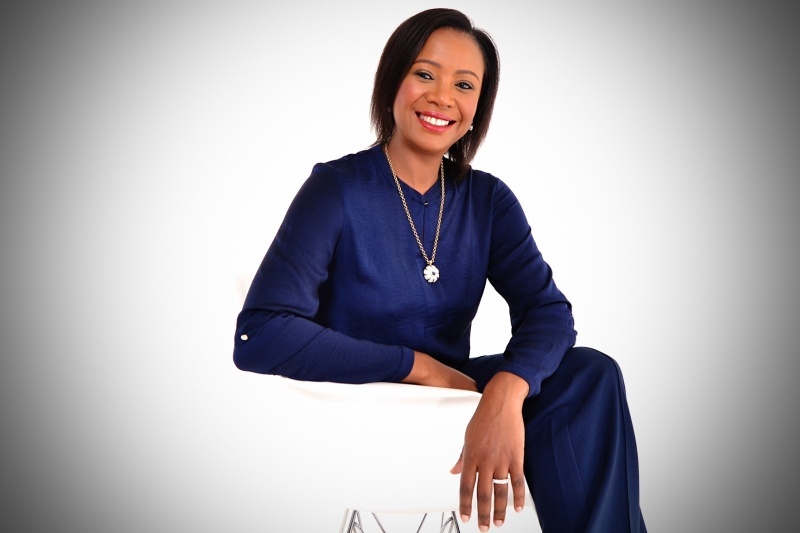 High altitude mountaineer and business women, Deshun Deysel, shares five ways that taking control of perceptions can help entrepreneurs on their ascent to business success. When you hear the word ‘entrepreneur’ what do you think? What about when a company is described as a ‘small business’? Or, how about a ‘small black business’? Perception is truth and, for entrepreneurs, perceptions about you can make or break your chances of success. Yet, no perception is more powerful than the one you have about yourself. It shows others how to treat you and may well be the biggest obstacle you’ll ever have to overcome. At its Entrepreneurship To The Point Session held recently, Property Point, the Growthpoint Properties initiative, delved into how perceptions can impact entrepreneurs. This was the latest of its popular monthly talks designed to inform, equip and inspire entrepreneurs. Tackling perceptions and changing unconscious bias in the marketplace is a key theme in Property Point’s drive to build sustainable small businesses. Working with small businesses can be seen as high risk. If a business is small and black-owned, the perception of risk can be even higher. Property Point is striving to overcome this challenge. Few people know more about overcoming obstacles, both real and perceived, than professional mountaineer and businesswoman Deshun Deysel. Deshun chose to tackle the highest obstacle in the world – twice. As the first black woman to climb Mount Everest in the SA team that planted South Africa’s new flag on the summit of Mount Everest, Deshun fulfilled her childhood dream. She went on to scale five of the seven summits. Now Deshun musters the passion and perseverance that she applied to pull herself up to unthinkable heights to help others do the same. Today, she sees climbing mountains as a metaphor for making the impossible possible. As an entrepreneur and businesswoman, Deshun knows first-hand that building a business can be one of the toughest mountains to climb. And she had unique and exciting guidance for the Entrepreneurship To The Point audience to help them along their own business journeys. Often, we need to change our own perception of what we are, who we are, and what we can do, before we can change the way the world sees us. You have to teach the world how to treat you and that starts with your own perception of yourself. Believe in yourself. Regardless of the support and resources you have, no one is going to get you to do something if you don’t have self-belief. The success or failure of an entrepreneur can rest on this alone. Reaching our goals is often no walk in the park, but they’re also not impossible to achieve. However, one of the biggest obstacles along the way is how you manage your thoughts and perceptions when things go wrong – the panic, doubt and negative voices. Deshun believes it is important to slow down mentally , see the obstacle for what it really is, and then tackle it, even if that means going back to go forward. She encourages entrepreneurs to challenge their own perceptions by having high-impact conversations and choosing who they listen to carefully. “Tune out the negative voices and make time for truthful mentors and guides”. “I have had to teach the world to treat me as a mountaineer,” confesses Deshun. “When the journey gets hard, if you give up, you are also giving up opportunities. People are watching how you come through the storm, how you make it through when there are no resources. Dig deep when the storm comes. Your actions teach people how to perceive you. The better we become at our businesses, the more we are able to show people how to treat us”. For Deshun’s first Everest expedition, she had to qualify for the team. The second time round she was invited. only get to enjoy a matter of minutes there before descending, so if you are only focused on the summit, what happens after the goal is achieved? Most accidents on Everest happen on the way down. Many climbers don’t see the goal of getting back home safely, only getting to the top. People collapse on the finish line of the marathon. It used to be that sprinters ran for the finish line, now they run beyond it. Set your goals beyond getting to the top. Property Point’s next Entrepreneurship To The Point talk is titled ‘Everything is negotiable’. Guest speaker Maushami Chetty, whose unique story spans the world of business, adventure and social activism, was a corporate attorney at one of South Africa’s top five law firms and an international human rights lawyer. She will take a closer look into the skill of negotiating to win. The event takes place on Thursday, 31 May 2018, from 6.30pm to 9.30pm at Perch co-working space, 37 Bath Ave, Rosebank, Johannesburg. Seating is limited and booking is essential. Tickets are only available at quicket.co.za for an investment of R150pp. For more information see www.propertypoint.org.za or email tebogo@ettp.co.za. Here is the preview of the session: https://youtu.be/znIQB2rKQak.